We want you to receive your Foxwood item in perfect condition, so to protect them we include packaging in the price. Virtually every item will be hand-made to order and so should be available for despatch within 5 days of order. If you require a faster service, or have specific delivery needs, please contact us before placing your order and making payment. We will do everything we can to help. You can collect in person from Cookham, Nr Maidenhead SL6 9JT, free of charge. 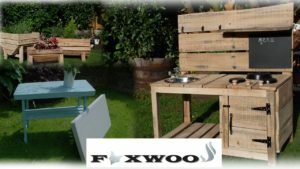 Foxwood can deliver to any address which is within 20 miles of SL6 9JT for a flat rate of £10. Deliveries to other areas – for example Northern Ireland, Isle of Wight, Scottish Islands – can be arranged separately.